But what’s it like in the flesh" Does that neo-retro flat track style translate into a decent street bike" Do pastéis de nata custard tarts taste better in Portugal than anywhere else" I traveled to Lisbon to find out the answers to these burning questions. All the body panels are plastic?and that’s OK because they’re also light. The build quality’s right up there too, and everything feels carefully considered and well finished. The Svartpilen 701 is also stacked with neat details. Check out that silver line that runs down from the seat and tank junction, and how it lines up perfectly with the exhaust hangar. The head and taillights are both LED items, and there?s a ring-shaped daytime running light that’s becoming a signature of the Husky street range. 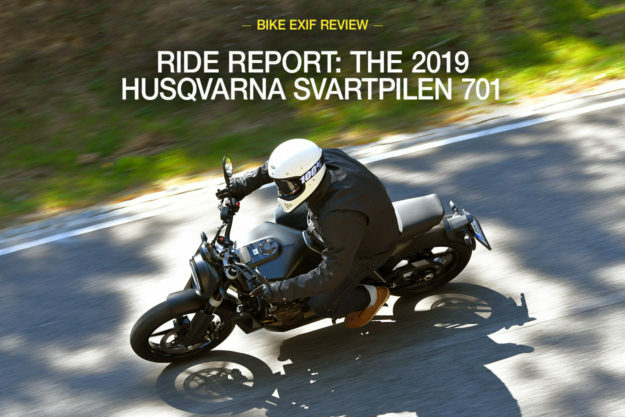 If black isn’t your thing, Husqvarna will be building 500 Svartpilen 701 ?Style? units too (below)?but only for the European market. They trade the black paint for an all-bronze finish, with spoked wheels and a handful of tasty catalog parts.